Caption slip reads: "Photographer: Fauman. Date: 1961-09-07. Reporter: Fauman. 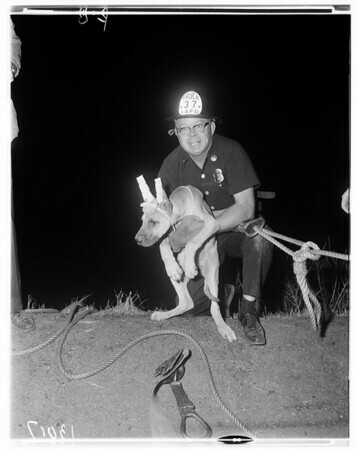 Assignment: Firemen rescue dog down cliff. F71/72: Harold Pfaff, Capt. Jim Johnson. F73: Capt. Jim Johnson and dog".